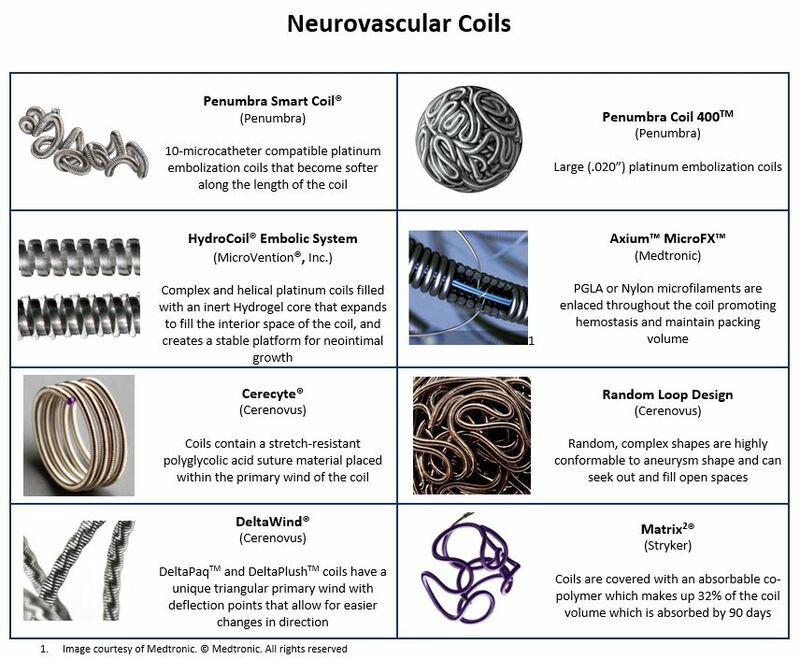 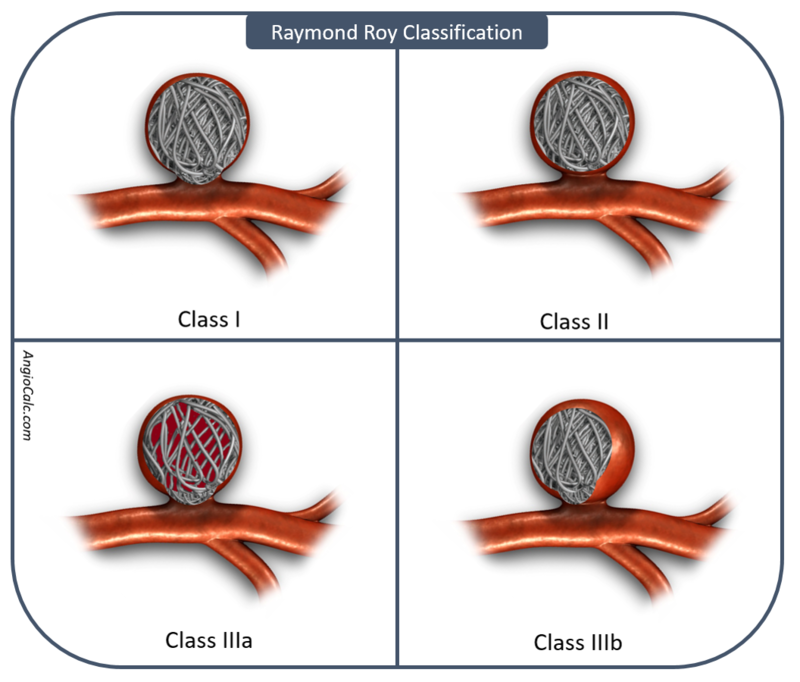 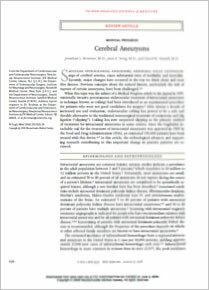 Neurovascular Coils: Chart compares some of the available Neurovascular embolization coils, highlighting unique characteristics and properties. 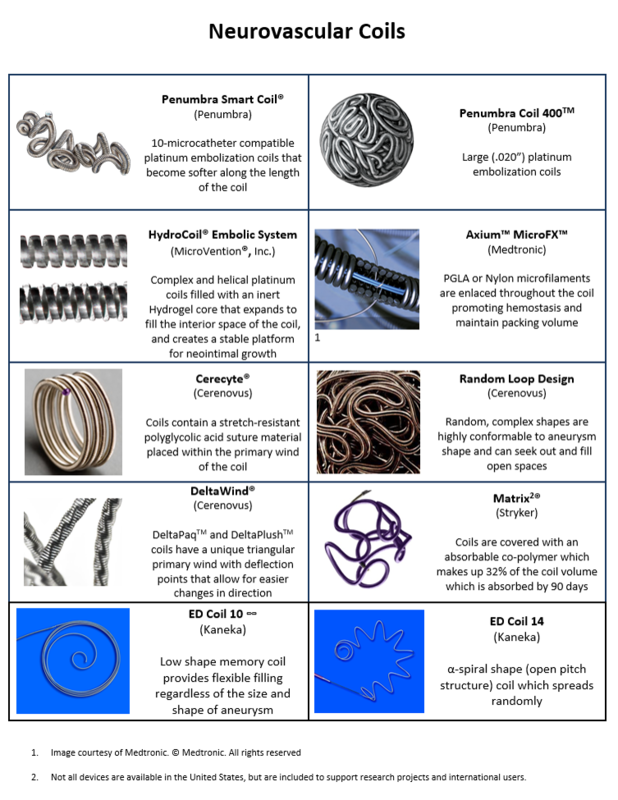 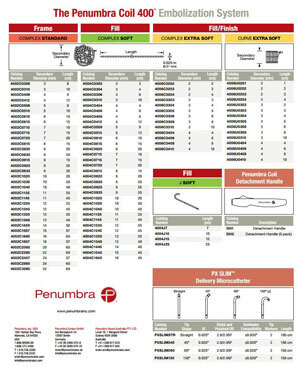 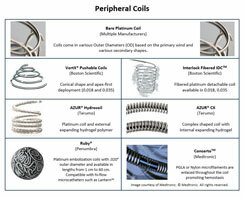 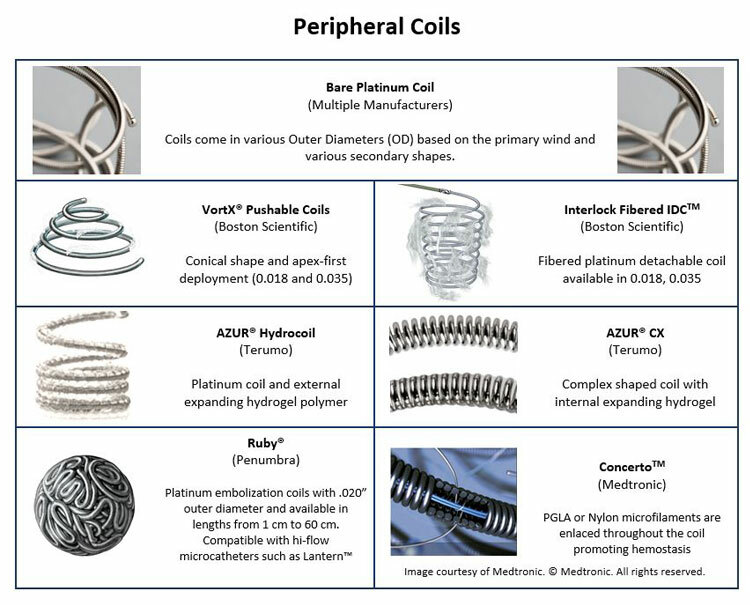 Peripheral Coils: Chart compares some of the available Peripheral embolization coils, highlighting unique characteristics and properties. 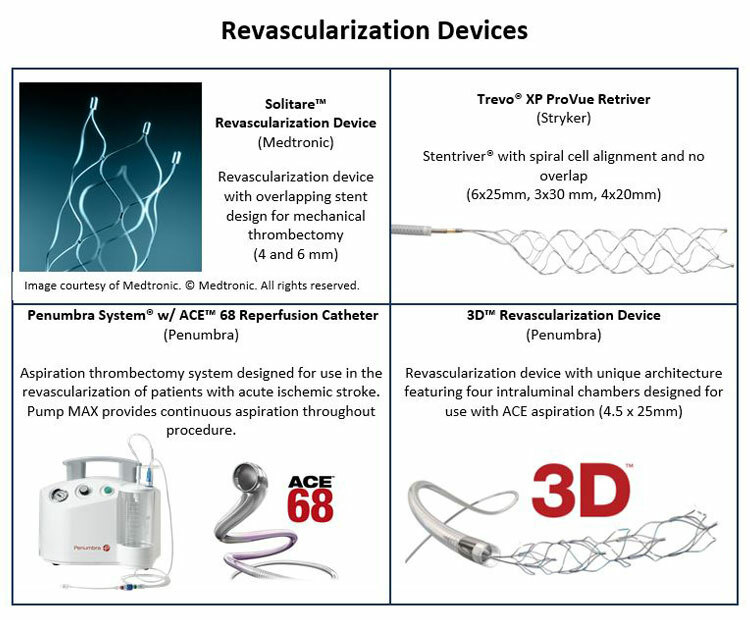 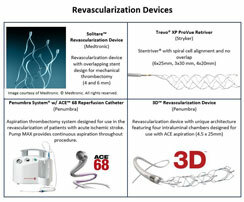 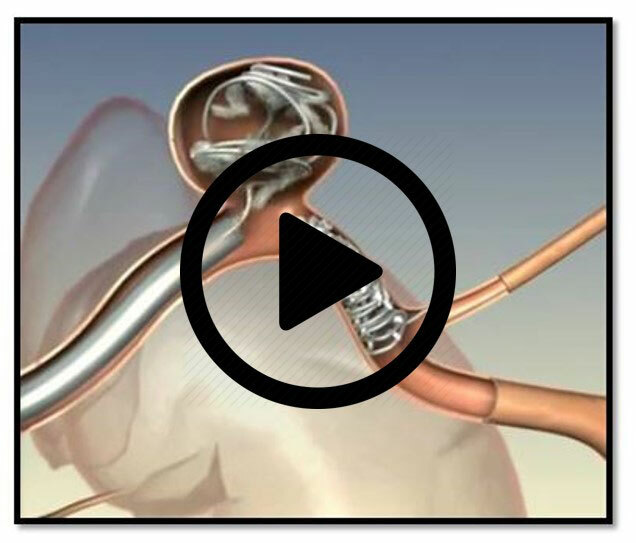 Revascularization Devices: Chart compares some of the available Neurovascular Revascularization devices such as stent retriever thrombectomy for acute ischemic stroke. 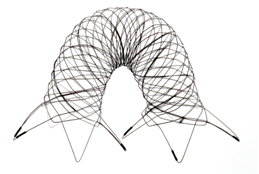 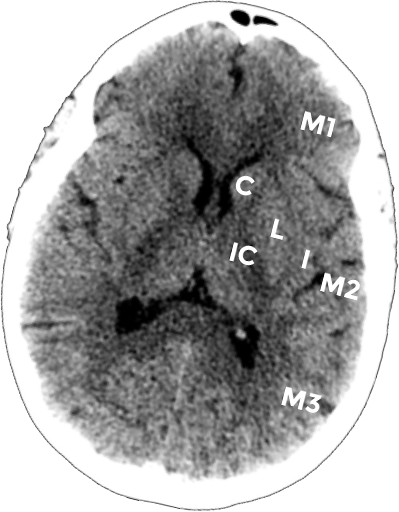 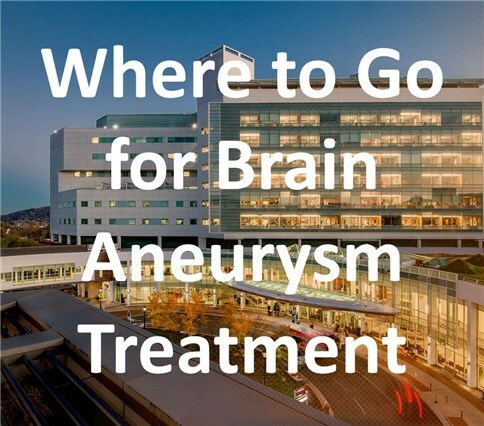 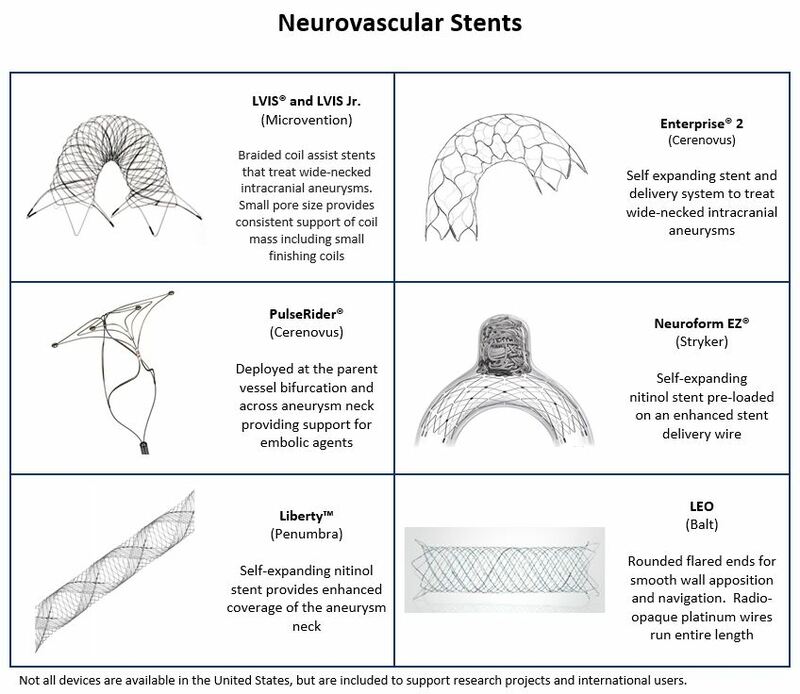 Neurovascular Stents: Chart compares some of the available Neurovascular Stents used in stent-assisted coiling of cerebral aneurysms (coverage area 6-15%). 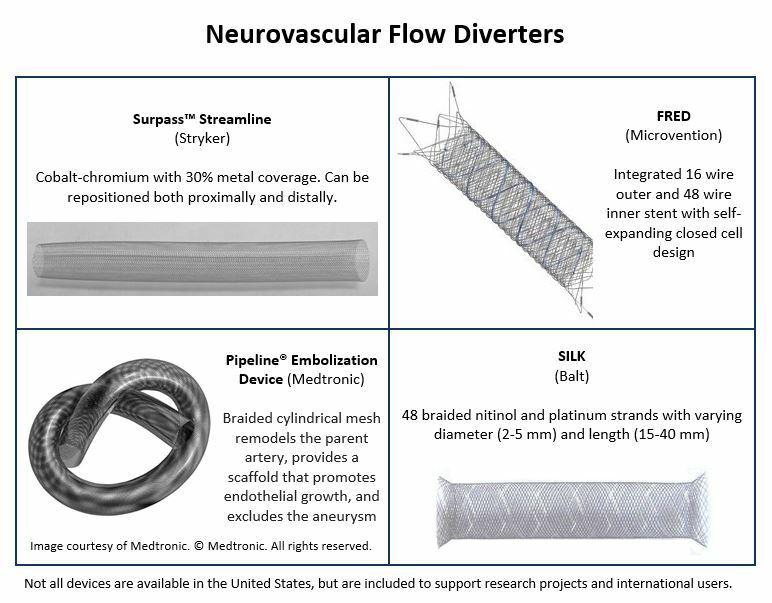 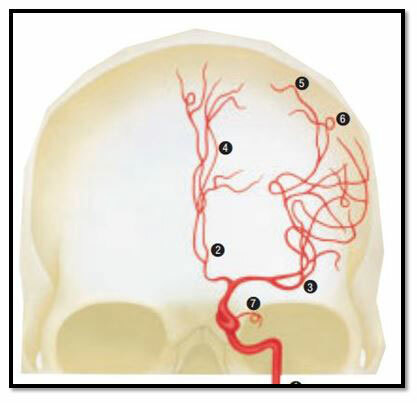 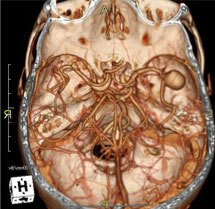 Neurovascular Flow Diverters: Chart compares some of the available Neurovascular Flow Diverters used in-place of embolization coils (coverage area 30-35%).